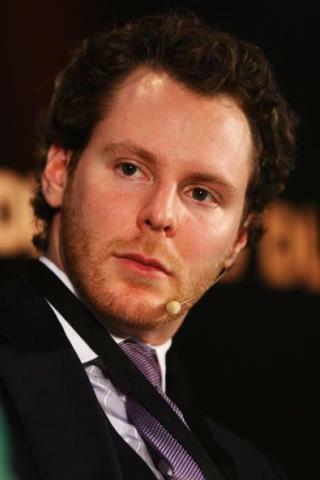 (Newser) – According to Sean Parker, Sean Parker has "helped change the world, at least three times." Two of those times, one assumes, are related to his involvement in the early days of Napster and Facebook: "Two of the most significant companies in the history of the Internet," says a colleague. "And in both cases Parker spotted them earlier than anyone." The budding billionaire—soon to be portrayed by Justin Timberlake in The Social Network—is notoriously press-shy, but agreed to sit for a Vanity Fair interview with David Kirkpatrick. In it, Parker is referred to many times as "brilliant" and a "genius," by everyone from Mark Zuckerberg to Ashton Kutcher. He's also described as flaky and hard-partying, but enormously loyal and generous—often investing money in friends' businesses or donating to charity fundraisers—a far cry from the greedy, calculating character he's portrayed as in the upcoming film. In fact, when Timberlake himself approached Parker to get to know him, Parker shot him down. "That isn’t going to help you play the part Sorkin has written," he told Timberlake. "That character really isn’t me." What is that thing on his face?